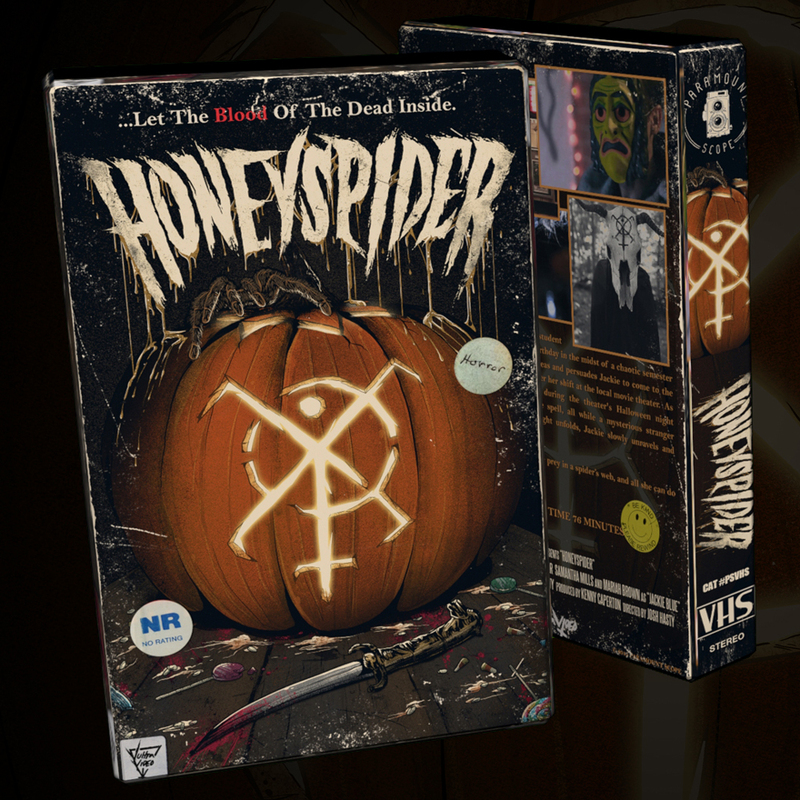 The independent Halloween-themed throwback horror film Honeyspider (read our review) will soon be available for you to take home on DVD, as well as a special limited edition VHS release featuring alternate artwork and packaging. You can read the complete official press release below, and then click here to pre-order your DVD or here for your limited edition collector’s VHS tape! 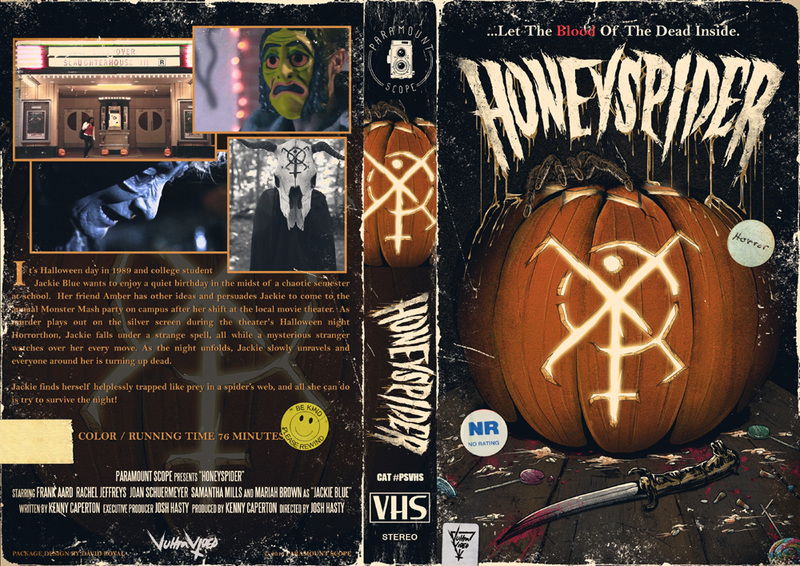 Honeyspider will arrive on DVD and VHS on October 6. 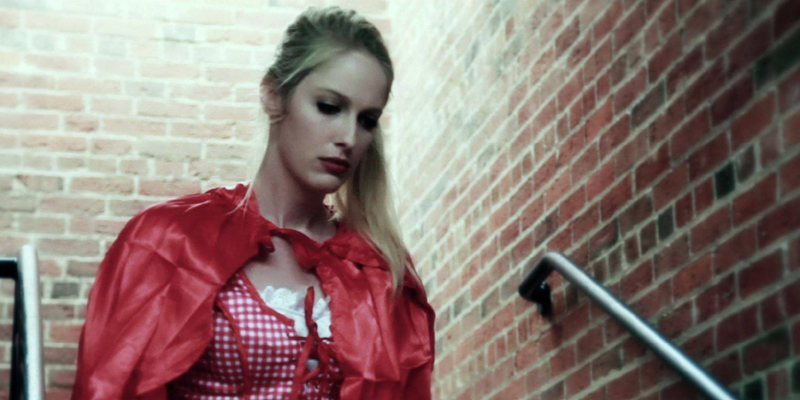 The critically acclaimed independent horror feature film ‘HONEYSPIDER,’ and winner of “Best Horror” at the 2015 Mad Monster Film Festival, hits shelves just in time for Halloween on OCTOBER 6TH. You can pre-order the DVD now on Amazon, BestBuy, Rakuten, CdUniverse, DeepDiscount, BrainDamageFilms & MORE! HONEYSPIDER has teamed up with Vultra Video to release the film on Limited Edition VHS!!! Only 100 tapes are available and the package is killer – this is a must have for any collector! See below for complete details and pre-order your copy NOW at the official Myers House NC store – http://myershousenc.storenvy.com (this is the ONLY place you can buy the VHS). Watch the trailer in the player below, and then tell us if you will be picking up a copy of Honeyspider to add to your Halloween movie marathon this October!